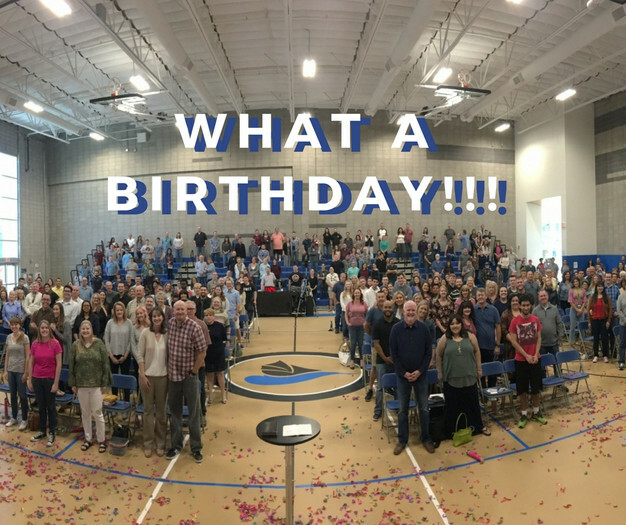 I’m still trying to wrap my head around what I saw happen on Sunday at our 1st birthday celebration for Purpose Church Claremont. I sit here thinking back to our first Sunday at Western as a community meeting together to see everyone everywhere following Jesus and then look back at just a couple of days ago and I’m left speechless as I try to understand all that God has done through you all in just twelve months. This is nothing short of MIRACULOUS!!! Things are happening, friends. People are surrendering to Jesus. People are getting baptized. People are signing up to be part of life groups to intentionally walk with people through life. The community is forming on the campus. People are living out their mission right in their zip codes. God is building his church to be his instrument of hope and change along the Foothills of the 210 freeway. So today, let’s once again stop and just thank God for all that he has accomplished. And then let’s thank God for all that he has invited us to be part of this next year as we continue to walk with him. It’s been an incredible year together. And even with that, I’m convinced that the best is yet to come.